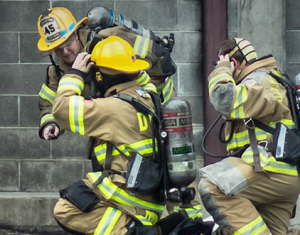 We are a non-profit, 100% volunteer, full service fire and heavy rescue organization, providing care to the residents of Downingtown Borough, East Caln Township and the surrounding areas. We have deep roots and have always been located in the West Ward of Downingtown, to serve our fellow neighbors. Alert is one of two fire companies that make-up the Downingtown Fire Department. The other fire company is the Minquas Fire Co. No. 2, located in the East Ward of Downingtown since 1908. We have provided service to our community for over 131 continuous years. We are a charter member of the Chester County Technical Rescue Task Force (CHESCO RTF-1). Alert is a dynamic company known for its professional approach to service, training and a team-oriented environment. We provide opportunities for growth, national certification training and advancement within the company. We are your neighbors, friends and family, ages 16 years and up. If you’re looking for a way to be personally involved in your community, in an exciting town, the Alert Fire Co. No. 1 is the place for you!